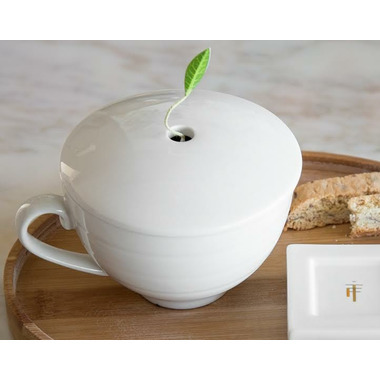 Cafe Forte's elegant, porcelain tea cup is one of the brands signature teacups. The custom cover keeps tea hot, while the hole in the the lid reveals the leaf of their iconic pyramid infusers. 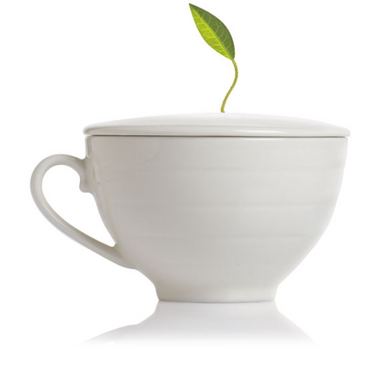 After steeping, remove the lid to enjoy an aromatic cup of tea. Steeps 8 oz.